Or do ye think that ye shall enter the Garden (of bliss) without such (trials) as came to those who passed away before you? they encountered suffering and adversity, and were so shaken in spirit that even the Messenger and those of faith who were with him cried: "When (will come) the help of Allah?" Ah! 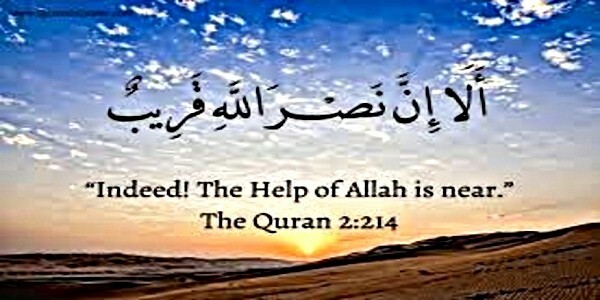 Verily, the help of Allah is (always) near!